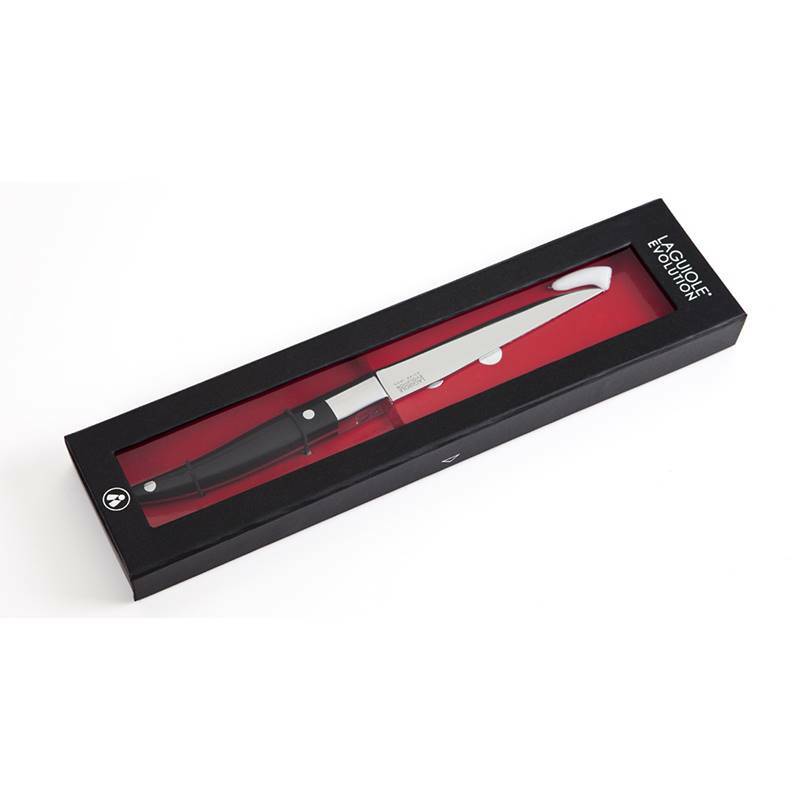 Manufactured with a full tang forged blade, this Laguiole Evolution® meat knife guarantees a remarkable cutting power effortlessly. 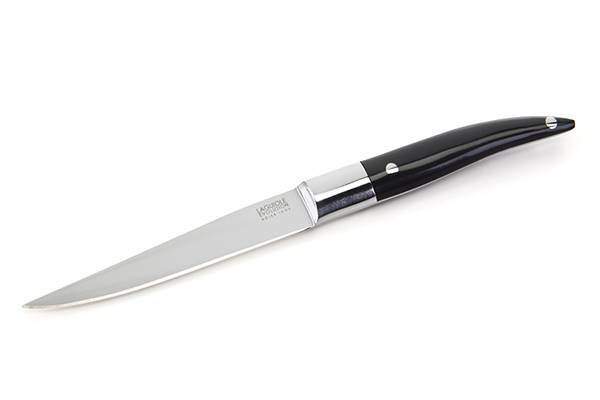 Particularly sharp, the tempered stainless steel blade of this steak knife cut with extreme precision without damaging the flesh. 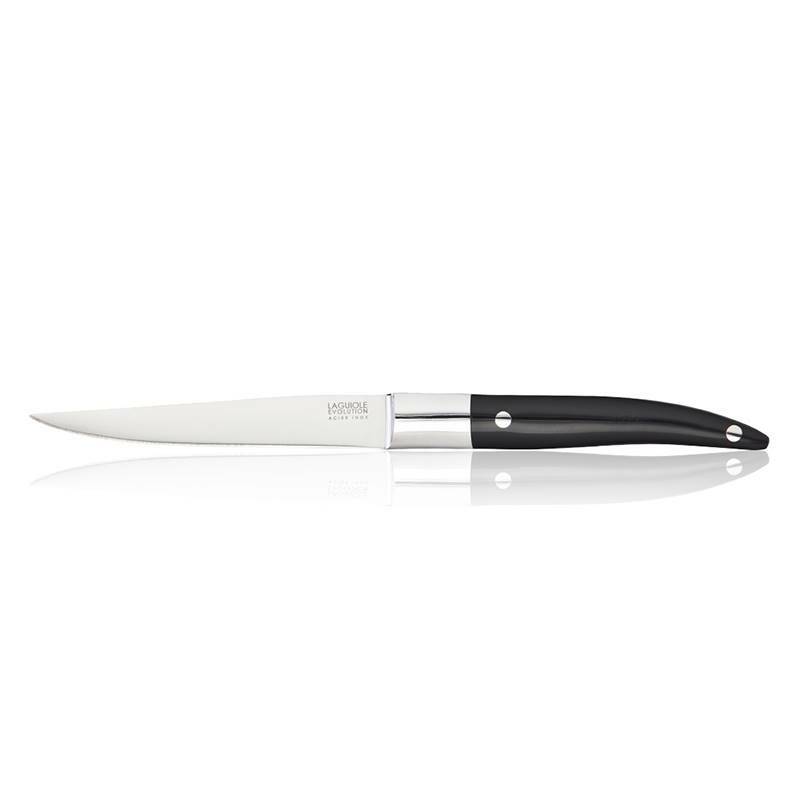 Very efficient, it is much appreciated by meat enthusiasts as it can be used to cut raw as well as cooked meat. 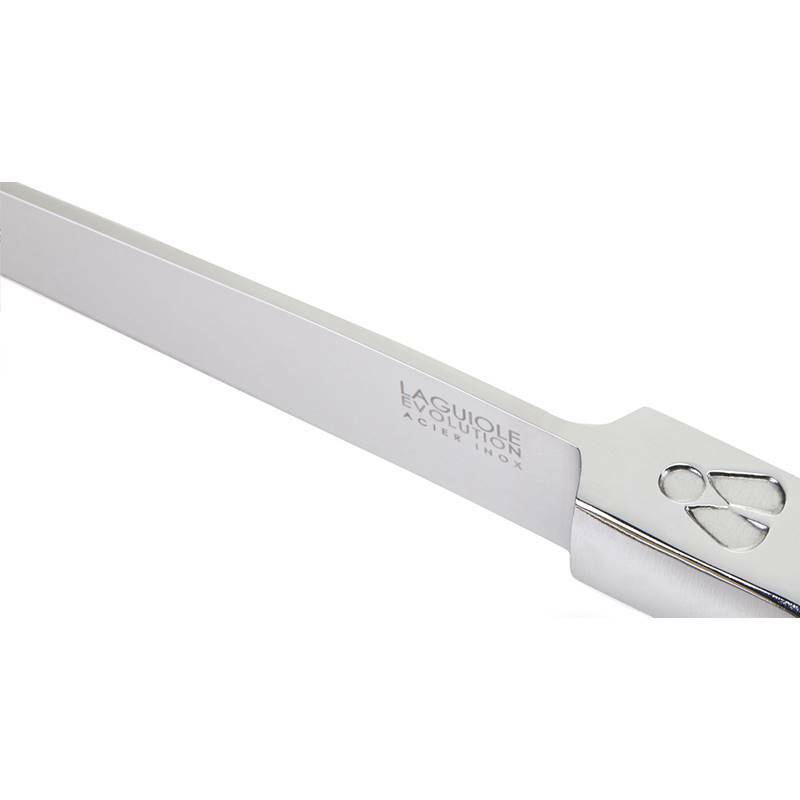 The look of this steak knife is borrowed to the emblematic graphic lines of the famous Laguiole. Immediately identifiable, the elements of the signature of the Laguiole spirit have been revisited to offer a contemporary table knife. 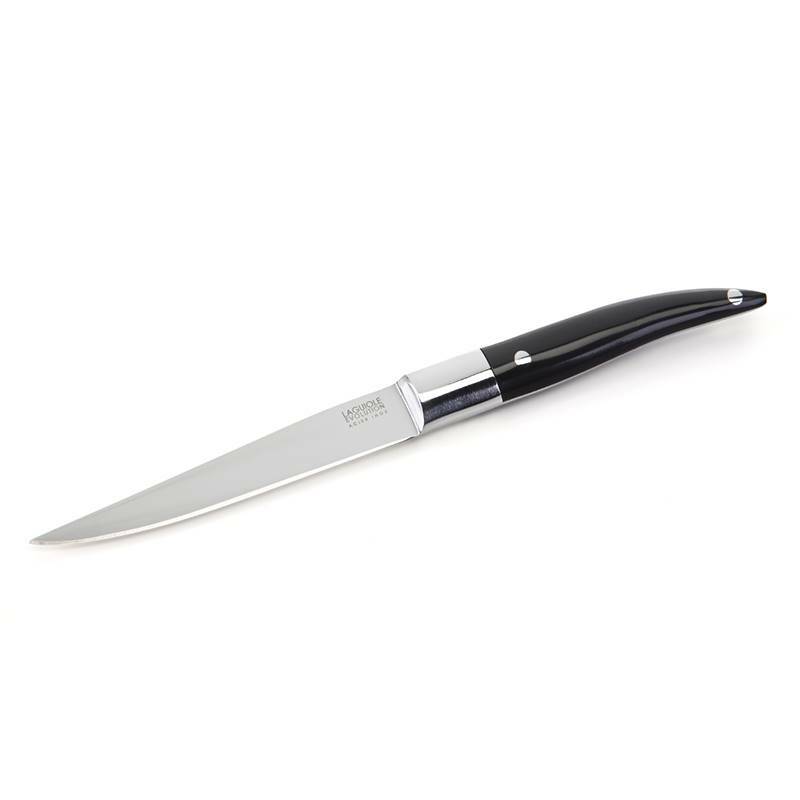 Its slender and graphic handle ensures an elegant modernity. The large shiny finish bolster and the solid rivets complete an uncluttered and timeless look. 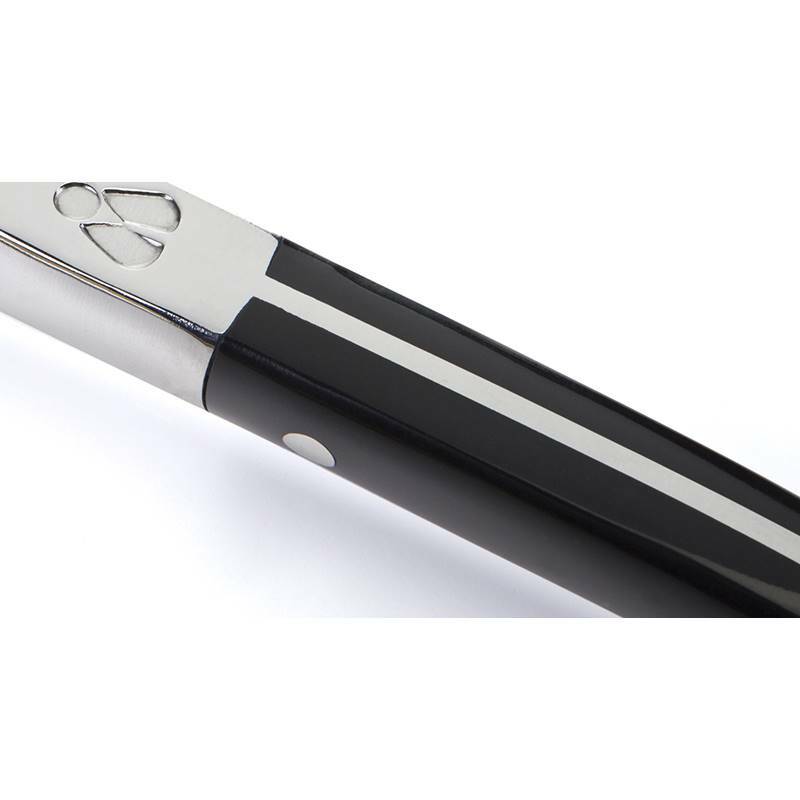 The blade of this knife can be personalised by laser engraving with a writing up to 30 characters.